As much as I like the Autumn weather I can't say the same for the windy days and the wind swept and interesting (or in my case terrifying) look that follows. You know the drill you spent forever perfecting your hair, give yourself one last admiring glance before leaving home and whoosh hello wind, goodbye combed hair. Woeful indeed. If like myself you have long hair you probably tote around some form of hair band to tie up your hair should needs must or if you are really like me all you have to do is glance down at your wrist and no doubt that is where it will be. Annoyingly typical hair ties can leave red marks around my wrist and frankly look bizarre especially if your hair ties happen to be from the summer and are neon yellow (guilty). For times like this let me introduce you to Popband - a hair tie that won't snag or pull the hair and has been designed to look equally great be it in the hair or worn on your wrist. 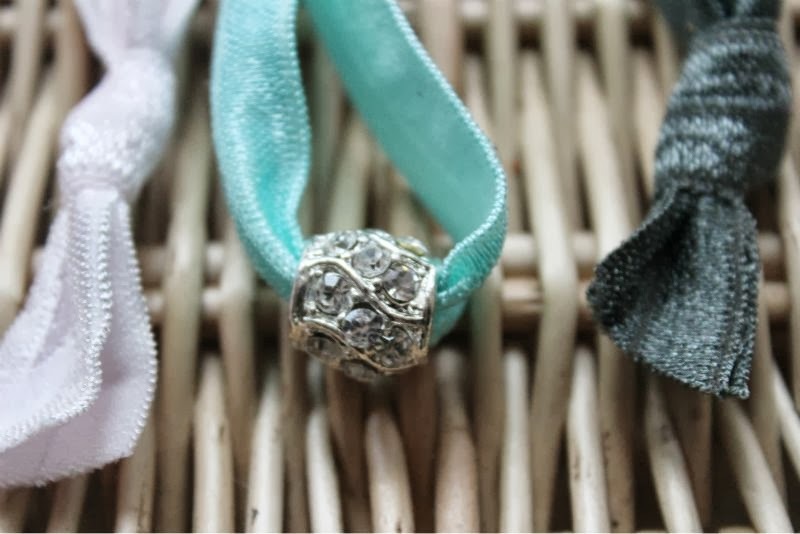 I'm partial to a little bling every now and then so the new bejewelled collection really appealed to me - my personal favourite is the minted design (the pale mint green band). What ever design or pack for that matter you choose you can rest assure that they will keep your hair looking great without damaging it and look like a real bracelet on the wrist. I personally find the Popband design great for securing a top knot - having thick hair some bands give and snap after a few uses but that is not the case with the Popband's. You can also do your part for charity by purchasing the Tickle Me Pink band 50p of which will go directly to Breast Cancer Care. These are so cute! 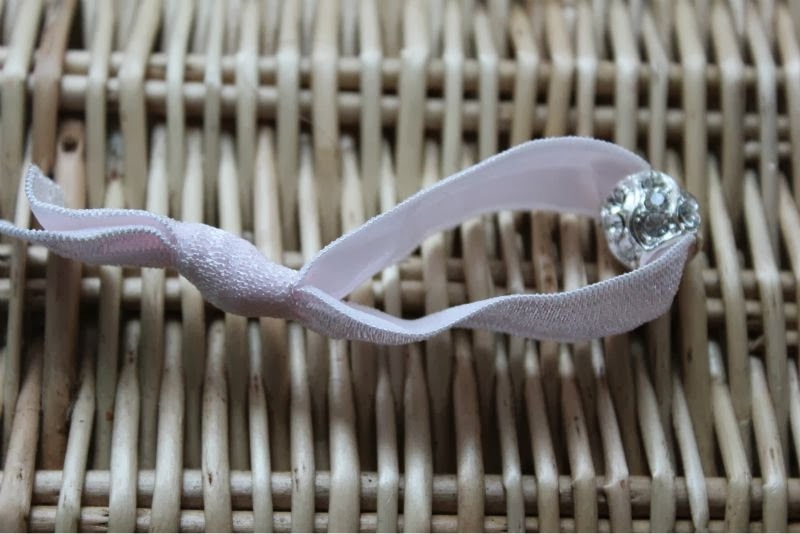 Much nicer than your standard hair ties and it's great that some of the proceeds of the pink bands go to Breast Cancer. 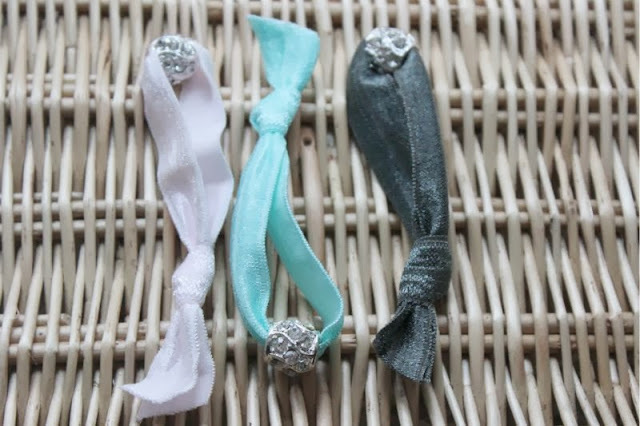 I have been eyeing these for a while.. Standard hairbands are pretty manky in comparison! I have these now and absolutely love them! Very pretty but I'd never get away with these, better not show my daughter though!!!! Been after these for a while now!